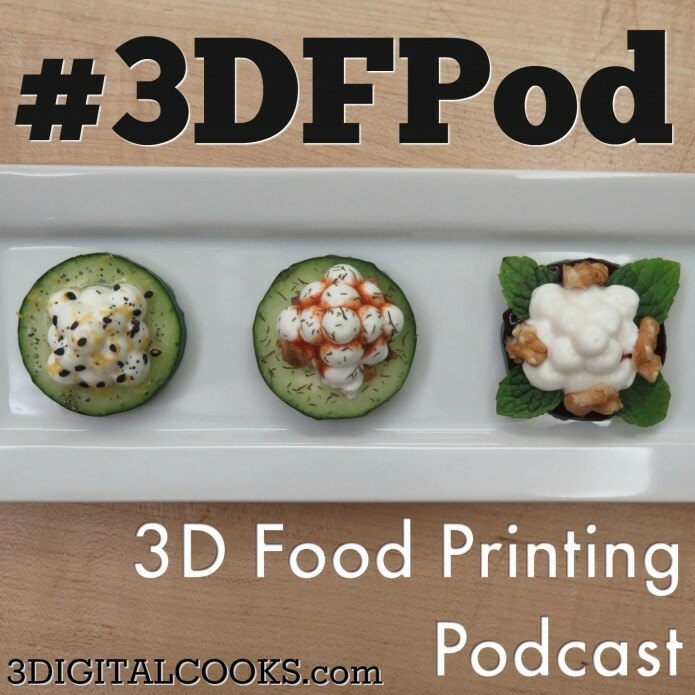 3DIGITALCOOKS presents: 3D Food Printing Podcast Chapter 1! We’re very excited to finally announce today is the day we’re launching something we feel is a very special next step in the evolution of 3DC.. the 3D Food Printing Podcast – #3DFPod !!! The inagural chapter in the #3DFPod serves as an intro to Luis and I and how we got involved in 3D food printing. As usual we’d like your feedback on it as well as any ideas you think we should discuss/debate/share on the podcast. Reach out to us about the podcast by sending us an email at “podcast (AT) 3digitalcooks (DOT) com” or use the hastag: ” #3DFPod ” whenn you share or discuss the podcast on social media so we can find it.